They have arrived on your grocery store shelves. 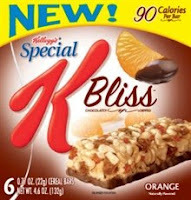 The question is - will they run out before you get there to purchase your first box of Special K Bliss Bars? I was given the opportunity to try these scrumptious treats by Mom Central and Kellogg’s in exchange for sharing my review of the product. The Box arrived, and before I knew it, my two teenage girls were smiling with the thought of devouring these new treats. Like their mother, they enjoy sweets, especially if they consist of anything chocolate! These new 90 calorie bars are a sweet treat and come in 2 flavors: Orange and Raspberry. They are made with multi-grain cereal and dipped in chocolate… the perfect sweet craving snack. 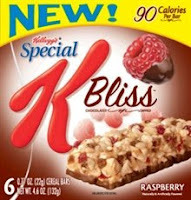 Check out the Special K website for more information on these scrumptious bars. This week I not only have another recipe from the Easy One Dish Meals cookbook, but I also have a copy of this great cookbook to give away to one of our 24/7 MOMS blog readers. 1. The name of your favorite cookbook. 2. Share your favorite SIMPLE recipe, giving permission for 24/7 MOMS to use it in an upcoming publication. Email me those 2 things and I will then enter you into this week's drawing to WIN the Easy One Dish Meals cookbook (drawing to be held May 5, 2008). * Combine cola, teriyaki sauce, 1 teaspoon pepper, and London broil in large zip-top freezer bag. Seal, marinate in refrigerator for 24 hours and turn occasionally. * Remove London broil from marinade and discard marinade. Grill, covered for about 14 minutes on each side. *Let stand about 10 minutes before slicing diagonally across grain. This has been a crazy, wild, overwhelming week for me with Daddy out of town and 5 busy kids. This week I want to share with you one of my biggest time savers I use each and every day. It brings calm to my chaos. Time Waster: Do your mornings consist of craziness, running around like a chicken with your head cut off, scrambling to beat the clock, HOPING just once you will be on time?? Or you wake up and you cannot remember where you need to be today or what needs to get done? Time Saver: Plan ahead the night before. Think about your mornings - what are you doing each morning that you could have done the night before? First: Look at your calendar and see where you or your children need to be tomorrow. Look at your to-do list or make one so you know what things you need to accomplish the next day. Second: Lay out everyone's clothes. Pack backpacks, diaper bags, sport bags and lunches. Put out the cereal bowls. Find the library books. Fill out the school field trip forms. Place everything (jackets, shoes, bags) that needs to leave with you or your children in the morning by the front door. It is amazing how much less chaotic your morning and day will be with simple planning and preparation the night before. Have a TIME SAVER tip - comment and share it with us. Doctor Appointments, Dance Lessons, Baseball Practice, Cheer Try-out, Dentist Appointment, Teacher Conference, Orthodontist Appointment, Sister's Birthday, Girls Night Out, and the list goes on of the many activities and events we as moms have to keep track of. The momAgendahas become one of the hottest organizational items among moms. WHY? Because momAgenda is for today’s mom – the mom who lives in a multi tasking world, the mom who has more to do than she can remember, the mom who wants to be organized simply, the mom who likes trendy styles and colors. The momAgenda has been designed for YOU. The momAgenda comes in the latest colors: Lime, Chocolate and Fuchsia. Inside the momAgenda you will discover unique week-at-a-views with space for Mom and up to four kiddos. It also features monthly calendars, a place to organize parties, vacations, gifts and so much MORE. Join the momAgenda craze and get organized simply! I am a MOM... a 24/7 MOM that is. 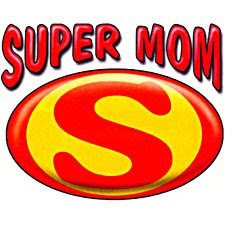 There are days I feel like a SUPER Mom, not because I am an amazing, incredible, fabulous mom, but because I am SUPER stressed, SUPER rushed, SUPER overloaded and SUPER lacking when it comes to being all that I expect myself to be as mom to my 5 kids. Those are the days I know I need inspiration from other moms to remind me that what I am doing is the most IMPORTANT job. I need to be equipped with ideas, resources and information to assist me in my mothering so that my kids will survive me. I need connection to other moms who have and are traveling the motherhood journey to ask questions, share ideas, laugh and cry with. That is why I, too, need 24/7 MOMS as part of my mothering journey. Don't stop reading, because I have saved the best part of 24/7 MOMS for last, or should I say the coolest event that you as a mom will ever experience is being planned right now! The 24/7 MOMS Conference will be October 10-11, 2008, with Julie Barnhill as the Keynote speaker (www.juliebarnhill.com), workshops on mom topics, late-night fun, music, even a moms favorites (Oprah style). This is an event you don't want to miss! I have a great Super Mom idea - Mother's Day is coming up, so tell your family that ALL you want for Mother's Day this year is a ticket to the 24/7 MOMS Conference. Now how easy is that? They get off the hook for having to shop for the perfect gift, and you get to attend a 2 day event just for YOU, the MOM. This SUPER Mom looks forward to traveling the Mothering journey with you. http://www.bettcrocker.com/ Sign up for their e-mail list, and they will send you great meal ideas. 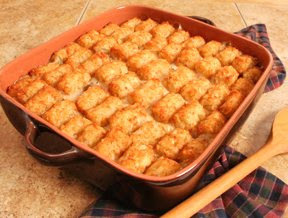 http://www.kraftfoods.com/ Free weekly ideas and recipes sent to you when you sign-up. You can also sign-up for a free Food & Family magazine filled with great recipes as well. This week's meal comes from Sheila Brown jsbrown96@gmail.com. Layer beef, onion, beans and soups in a 9 x 13 pan. Top with tator tots. Bake at 350° for 1 hour or until hamburger is done. **I always brown the beef first. Do you have a website or blog you go to for SIMPLE recipes? Comment and share it with us! The April 2008 24/7 MOMS E-News was sent out TODAY – did your copy arrive in your inbox? If you did not get this months E-News filled with the latest 24/7 MOMS news – Send us an email to join@247moms.com and we will quickly send you a copy so that you are in the MOM Know. Tonight when I checked in on my blogger friend Heathers Freebies 4 Mom blog, I saw a FREEBIE I just had to pass on being its FREEZING out, even though I’m not a Coffee drinker I know many of you are and would appreciate this FREEbie just like my hubby will once it arrives in our mailbox. 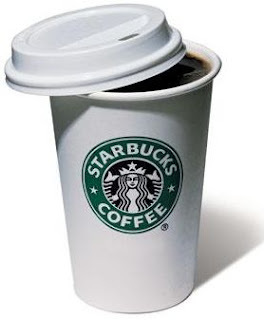 Get a free sample of Starbucks coffee. It's a little tricky to get to the free sample. Let the page fully load, then click on "Explore Our Coffees", then click on "Enjoy Your Complimentary Sample" in the top right-hand corner, and the sample request form will pop-up in a new window. You can choose from Cafe Verona, House Blend, Sumatra, or Breakfast Blend and should be enjoying your free coffee in 6 to 8 weeks. It's FRIDAY again...Can you believe it? Is it just me or is 2008 already flying by? I have 5 Friday Favorites to share with you - What are your Friday Favorites leave us a comment and tell us. 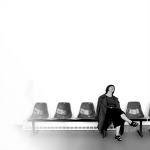 Julie Barnhill author, speaker and MOM, has a blog titled “One Tough Mother”. She shares from her heart on mothering in a very humorous and practical way. She reminds us to be STRONG and be the MOM. I think you will agree with me that she is a REAL mom who tells it like it is. Curious George books are my favorite story books. I grew up reading about George’s wild monkey adventures and have enjoyed reading them to my children over the last 18 years. Could this be why my children are so mischievous? Even my cell phone ring is a song for the Curious George movie – am I a dedicated fan or what? What is your favorite children’s storybook? Have you figured out by now that I am a SUGAR girl who loves candy, ice cream and cupcakes, all of which come in chocolate if I need a fix? I discovered a new chocolate candy called “Hershey’s Bliss” – the milk chocolate is so smooth and creamy I can’t just eat 1 or 2 or 3. Okay, maybe I can stop at 5. This new product from Hershey is absolutely delicious. I purchased mine at Target - they are small bite-sized pieces sold with the bagged candy. I am a huge fan of Casting Crowns –. I have so many favorite songs that I could not possibly choose just one. The words to their songs are inspiring and amazing; the beat to their music is just perfect; and I can listen to their CDs over and over again until I drive my family crazy. This week I heard on the radio that they will be playing in September at our State Fair here in Washington. So, I have now begun hinting to hubby “ PLEASE, PLEASE, PLEASE” buy us tickets… front row would be preferable, but probably not affordable. My favorite lunch this week was with my friend Valerie. We have this weekly Wednesday lunching habit at Panera Bread. We both enjoy their yummy soup, salad and sandwiches, but the best part is the conversation – we share our week with each other, sharing the good, the bad, the happy, the sad, but most of all we share what God is doing in our lives. We have been doing a book study called “What Happens When Women Say Yes to God”, by Lysa TerKeurst. It truly has been a time of stretching and growing in my faith. Thanks, Val, for being a great listener. Are you interested in doing a BLOG book club? Sorry, no Panera will be served, but the conversation will be meaningful. It’s Thursday, and we meet again for this week's Time Waster Time Saver Thursdays. Time Waster: You hear those words, "What's for Dinner?" You look at the clock, it's 5:00pm, and you begin planning what's for dinner, only to discover you are out of one item for each last minute meal idea you have. Now what? Call Mr. Pizza Delivery for the third time this week? Time Saver: Plan your meals ahead. Step 1: Create a master meal list and choose from it as you plan. Step 2: Plan out your meals for the month according to your calendar - simple or Crock-Pot meals on busy days, big family dinners on nights everyone will be home to eat, etc. Step3: Inventory what you have on hand, then make a shopping list and shop once or twice a month. This will not only save you time, but money. Also, shop your local warehouse once a month vs.weekly to save money. Now when it is 5:00pm you will be ready to answer the BIG question, "What's for Dinner?" Do you have a SIMPLE meal to share with the 24/7 MOMS? Comment and tell us about it. When my three oldest children were 4, 2 and baby, grocery shopping at 10:00pm was my MOM Time Out. I looked forward to these late night grocery shopping trips ALONE. I would find myself leisurely strolling down each aisle KID-FREE, enjoying this hour of FREEDOM. No one hanging on me. No one whining they were thirsty, hungry or had to go potty. No one placing items in the cart that I had not intended to purchase. No one slipping items into their pockets without paying (Be honest this has happened to some of you as well!). Now fast forward to TODAY - 5 kids with crazy activity schedules and BIG hearty appetites who eat me out of house and home on a daily basis. I no longer enjoy those 10:00pm leisurely MOM Time Outs to the grocery store. My grocery shopping is now a race in between those kid activities. I DREAM of having groceries arrive on my front porch on a weekly basis. So today, I get this email that says “Get FREE Delivery, American Idol T-shirt, and more”. Nothing unusual except that its from my husband. So, I open it up and discover it is a forwarded email he has sent me from Safeway. HMMM... Is he offering me this luxury of having my groceries delivered to my door? Or, is he implying I need to sign up so that we have groceries in our house on a weekly basis? Not sure how to take his forwarded email, but since I like to think he adores me 24/7, I will take the thought that he wants me to have the luxury of groceries being delivered to my door. 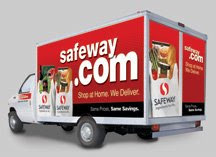 So the BIG question for you, my 24/7 MOM friends: Who has had their groceries delivered to their homes? What TIPS can you share with us about this luxury delivery service? Comment and share your experiences with us. My favorite one is the FREE Ben & Jerry’s mini cup of ice cream. 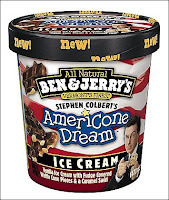 Ice Cream Ice Cream we all SCREAM for Ice Cream. Grab the kids and head to Baskin Robbins this Wednesday night April 30th from 5pm - 10pm for a 31cent scoop of Ice Cream. What is your FAVORITE flavor? Mine as a kid was always Pink Bubble gum or Grape Ice, Today I like world class chocolate. When in need of NEW recipes and meal ideas WHO do you ask? I tend to ask my girlfriends - they always seem to have a new recipe that their kids devour every time they make it for them. I can’t wait to try out some of your kid-tested recipes, and pass them on to the rest of the 24/7 MOMS. Another place to get some NEW yummy kid recipes is Rachel Ray's Yum-O http://www.yum-o.org/ site. Once you are at Yum-O, click recipes and you can search for recipes based on your child’s age and food choices. So, for those oh-so-picky eaters, this is a perfect place to find new meal ideas. Do you have a great site you find new recipes on? Comment and tell the 24/7 MOMS. 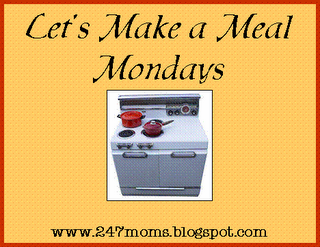 This week's Let’s Make a Meal recipe comes from my girlfriend Lori Reno. Cook spaghetti according to package directions. While spaghetti is still warm, stir in parmesan cheese, egg and butter in a bowl. Pour into well greased 10-inch pie plate and pat mixture up and around sides to form crust. Pour cottage cheese over spaghetti crust. In skillet, brown meat, sausage and onion, then drain. Add tomato sauce, garlic powder, oregano and ½ teaspoon each salt and pepper. Simmer 10 minutes and stir occasionally. Pour meat mixture over cottage cheese. Bake at 350° for 30 minutes. Sprinkle mozzarella on top and return to oven just until cheese melts. Serve in pie slices - YUM! Are you a newbie blogger and need some simple “how tos”? This is the book for YOU! I checked it out from my local library, and it was so full of great tips, ideas and information that I have now ordered my own copy from Amazon. It is one of those books I know I will refer to over and over again as a newbie blogger. This book is broken down in simple steps for creating a blog and explains the blogging world to you. Once you read this book you will feel like an expert in blogging. I’d love to know if you are a blogger, so comment and leave us your blog address. While in Arizona I stopped in at “Home Goods” and became instantly addicted to this store. I was a TJ Maxx shopper, but I had no idea there was such a store by TJ Maxx filled ONLY with incredible HOME stuff. The store was packed full of dishes, bedding, pictures, decorations and pillows like I’ve never seen before, and the prices were amazingly cheap... WOW! If you have a “Home Goods” in your area and have yet to stop in, take this as a warning - you might get addicted. I know I already am and will now search for these on our vacations. What was your favorite store this week? Ice Cream Crepes – Oh so YUMMY The Novotnys love crepes, especially filled with strawberries and whipped cream. This is why my little chef daughter Savannah thought they would be yummy filled with ice cream. So, she and I created the YUMMIEST, and I mean YUMMIEST, crepe desserts. We filled store bought crepes with Dreyers Banana Nut ice cream, sliced fresh strawberries and bananas on top of the ice cream, then folded the crepe closed and drizzled hot fudge sauce on top with a few more strawberries and bananas, and topped it off with whipped cream. It not only tasted amazing, but it looked amazing – a SIMPLE and FAST dessert. Favorite BARGAIN of the weekMy bargain of the week comes from Macy's. It is Clinque make-up bonus time - you get a FREE 7-piece gift with any $21.50 purchase. My girls are also Clinque buyers so they LOVE these freebies with purchase. This offer is good until April 20, 2008. Did you find a great BARGAIN this week? Comment and share it with us. My Favorite Freebie this week is one I found for my Husband. McDonalds is jumping into the coffee wars and has launched their new McCafés. To get your coffee lovers to stop by they are giving away a free small McCafe espresso drink at 112 Western Washington locations. That is it for this weeks Friday Favorites.....What are your Friday Favorites leave us a comment. Welcome back to Time Waster Time Saver Thursdays. I am glad we MOM friends keep meeting back here each Thursday for another MOM tip on saving TIME. How many of you this week have been searching for a LOST or Misplaced phone number or message? Read this weeks Tip to help avoid these situations. Time Waster: You just know you wrote that phone number somewhere, but you just can’t seem to find it… Did you write it on a napkin, scrap of paper, front of the phone book...??? Oh where, oh where did you write it down? Now your only hope is that they will call back again SOON or you can still trace it back on your caller ID. Time Saver: Purchase a spiral notebook to use as your phone journal. Write down the messages and cross them off as you return the calls. This gives you a written journal/record so you know where to find your phone messages and an organized system allowing you to quickly see if you have taken care of your calls. See you next Thursday for another Time Saver tip. Do you have a Time Saver Tip to share with the 24/7 MOMS? email me at trisha@247moms.com or leave a comment sharing your tip. My teenage girls love these type of freebies. Do you have a Freebie to share with us? Comment and leave us the link. Today I thought a FUN idea for our Let’s Make a Meal Mondays would be to share my family's 6 Favorite Costco quick-and-simple meals. While on our vacation in Arizona I used several of these for our dinners to keep those eating out costs down, yet still simplify my cooking so I could enjoy a relaxing vacation. Since I have NOT done a ton of cooking this week while on vacation, I thought I’d share one of our FAVORITE places to eat here in Arizona the “Sonic Drive In”. They have the BEST shakes, slushies, onion rings, fries and the list goes on. Unfortunately we do not have one where we live so when we are on vacation if there is one close by you will find the Novotny’s stopping in on more then one occasion. However we have had a little debate this week with my Hubby, his Favorite is In and Out Burgers. So we compromised and have eaten at both this week…the kids aren’t whining over it to much. 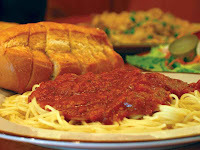 What is your Favorite Family Restaurant to eat at? With 5 kids who all have a love for our local ZOO, I have found it to be financially savvy to purchase a season pass each year. 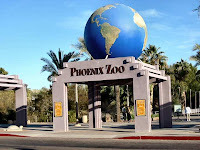 Owning a season pass to our local Point Defiance Zoo became a NEW bargain this week while on vacation here in Arizona, as we decided to check out the Phoenix Zoo. I remembered I had my zoo pass in my wallet so I went online to see what my reciprocal Zoos were and the BARGAIN ….Phoenix Zoo was one of them giving our family a 50% discount so we saved $34.00. I would call that a BARGAIN. Two bargains for YOU - 1. Join you local Zoo if you find yourself there several times each year. 2. TAKE your Zoo pass on vacation you never know when you might get the urge to check out the local Zoo and it just might save you some $$$. What Vacation Bargain secrets do you have? I would much rather eat a yummy cupcake then a piece of cake. So when I came across this new adorable oversized cupcake cake pan by Wilton it quickly made my Friday Favorite list. You can purchase it online at Amazon and begin making adorable oversized cupcake cakes for those special occasions. I can already hear and see my youngest Nate as he walks into the room with a huge smile and saying "WOW, Mom this is the most ginormous (his word for giant) cupcake I’ve ever seen, wait till Dad sees this”. Do you prefer cupcakes or a big piece of cake? Since I am on the Cupcake theme I thought I would share with you a great Cupcake Blog I found…Cupcakes take the cake . Scroll through the blog and see the great pictures and ideas of yummy cupcakes. http://cupcakestakethecake.blogspot.com/. Welcome back to Time Waster Time Saver Thursdays. This week I have a simple on the go Time Saver that I have been using even while on vacation this week during our day trips. 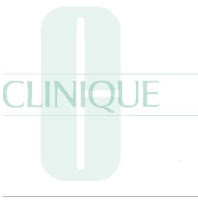 Time Waster: Do you find yourself sitting at Dr. Appointments, dance lessons, swim lessons or other waiting situations with nothing to do but watch the clock tick away and your to do list growing? Time Saver: Use a tote/book bag to take a long those projects, books to read , bills to pay, notes to write or other items on your to do list that you can accomplish while waiting. I also have a tote bag that I place items in that I’d like to read or projects to work on that are NOT time sensitive so that it is always ready to go for those times I have not gotten my to do while waiting bag packed. How do you save time while on the go as a MOM? Comment and tell us. See you next Thursday for another Time Waster Time Saver Tip.